I always thought archery was a graceful sport and wanted to try it out. Though it didn’t seem accessible in Montreal. 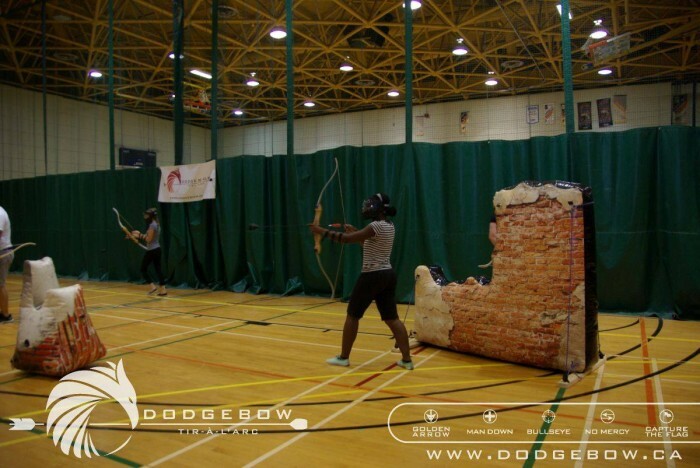 When I found out that DodgeBow was offering participants the opportunity to test skills of archery, I was eager to try it. I signed up for a class on September 5th on my own, as my friends were too scared to try it, even if the tips of the arrows were covered with foam. Yes, I was slightly scared but I needed to try it out at least once. I was assigned to a group randomly. I arrived just ten minutes before my session with sports clothes and running shoes. I signed a Waiver and Release form, as in any potentially “dangerous” physical activities and a Media form to agree having photos of me on their Facebook page. Once downstairs, every participant grabbed an arm guard and a bow. Adam Martelli, one of the cofounders, was the coach of our session and showed us how to shoot the arrow properly. There was a hole in the bow where you could click the arrow so it stayed in place. Then you released the string of the bow. Your arm holding the bow needed to be slightly inclined to prevent injury when releasing the string. The same arm was protected with the arm guard. We practiced shooting at a target and once we all did it once, we got a face mask and took a group photo. My first shot was horrible and I was given another shot, which was better but not precise. I think that subconsciously, I was afraid to shoot too hard in fear of hurting myself. I tend to be a klutz and hurt myself easily. Nicole Yeba’s team rules. DodgeBow. We tried three different games during 45 minutes. Some games were even played twice. Adam explained the rules of each game, giving us a two minute break between games. Those were much needed because running around and shooting arrows at people can be pretty exhausting. It was my workout of the day. Also it got really hot under the face mask so it was nice to remove it and breathe. 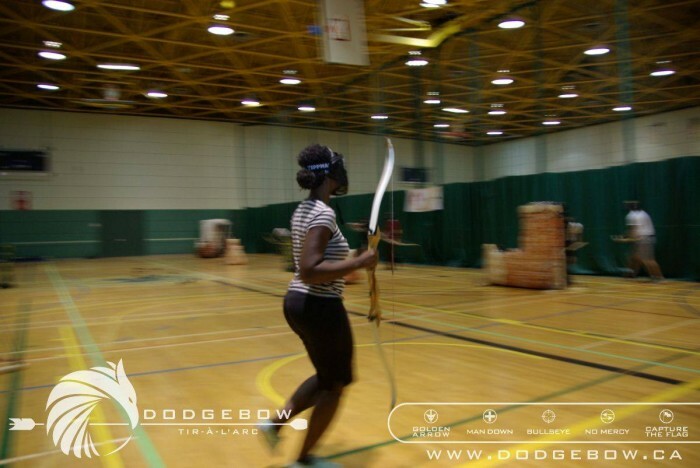 Nicole Yeba in Action with DodgeBow. The more arrows I shot, the better I got. When I was able to touch someone, I was proud and thought, “I could totally survive the Hunger Games now.” Yes, I got hit a few times and surprisingly, it didn’t hurt much. Would I recommend this sport to anyone? Yes because you don’t need any skill to play this sport! You can even wear your glasses because they are protected under the face mask! It’s a fun sport to test out some survival skills by avoiding arrows. You can also try to catch the arrow, but that was not my strong point. At dodgeball, I was often the last one standing because I would avoid the ball, but not save my teammates. Or if I did, it was only by a miracle. Unfortunately, I got hit a few times in DodgeBow because it’s not easy avoiding arrows; you can have more than one being shot in your direction. 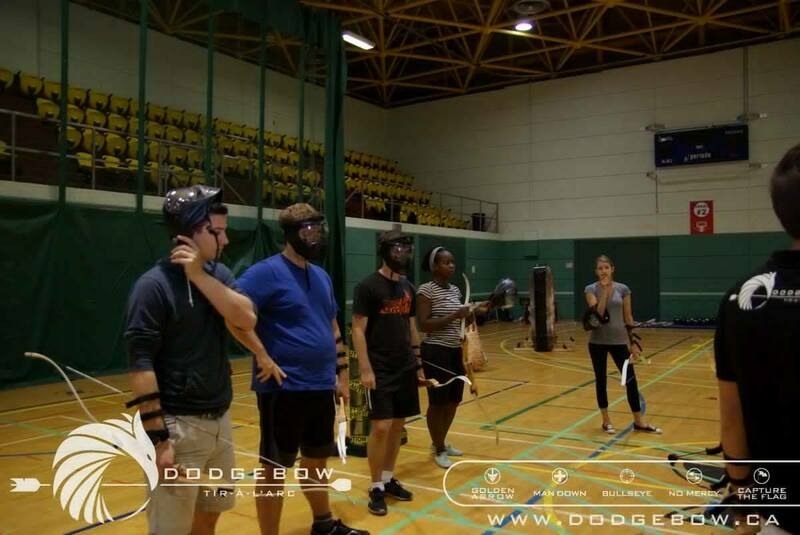 If you like doing sport activities with your friends or if you’re looking for a fun group activity among coworkers, then sign up for a session at DodgeBow. You won’t regret it! 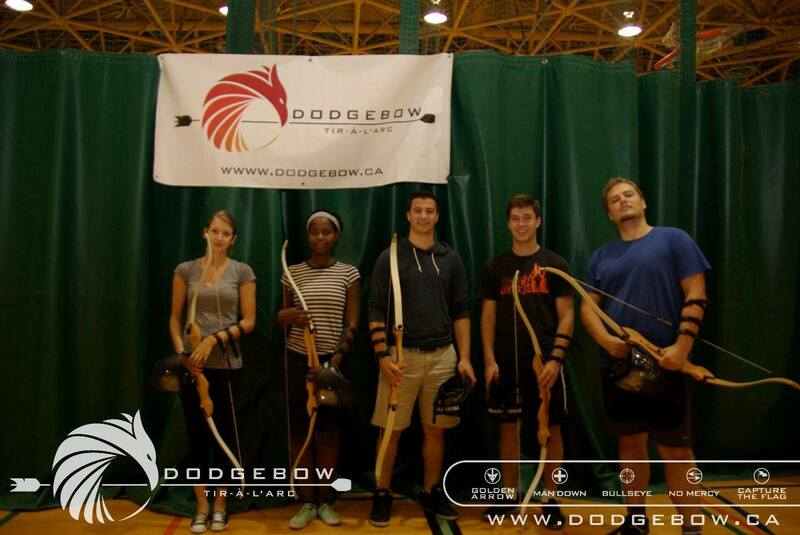 The next sessions of DodgeBow are this weekend on October 17th at 6 p.m. and 18th at 7 p.m. at CEGEP du Vieux-Montreal gymnasium (255 Ontario E). You can register on Eventbrite here or go to their website HERE. Cost is $19.95 and up, and you must be 18 years or older to play. Read about Dodgebow HERE. Broken River Review Part 2: No! Not my brother!